Pokémon GO has, in most ways, been a terrific success for Niantic and The Pokémon Company. Yet despite its record breaking success it's also earned its share of critics, with some of the most dedicated players and franchise fans among those disgruntled at various aspects of the game. One common complaint revolves around the spawning points in suburban and rural areas; with the game utilising Google Maps and algorithms to drive its various mechanics, it's long been established that most of the best action is to be found in cities, especially near landmarks. For those out in the sticks, however, in suburbs or rural communities, the game can have a lot less to offer. A satirical game currently burning up Reddit is called 'Pokémon: Suburban Version', with the creator 'Shane' saying he's just 14 years old. It's a simple browser-based game in which you catch Pidgey over and over again, with limited success; all the while 'Pokémon GO Update Incoming!' blocks move along and end the game if hit. On his website for the game, Shane has written the following. My name's Shane, and I'm 14 years old. I set out to make this game in hopes of alerting Niantic of the severity of the communities disdain for current spawning mechanics. It's a good example of using a complaint to make a funny point and learn something new - kudos to the young GO fan for that. Does this fan-made game represent your experience with GO in a suburban or rural area? Let us know in the comments. With thanks to Adam Cohen for the heads up. I always seem to be the lucky one. I live in the suburbs and have Nidoran, Drowzee, and Growlith around me. This is great! I wish I had gotten into game design earlier. Then again, the Pokémon GO map can't include everything. Maybe the donation bit is tongue-in-cheek, and part of the satirical intent behind the game. I caught 338. After 150 a mew appears, and I caught one! After 250 the ground disappears. I live in a small rural village in Ohio. I am level 20, my Pokedex is over 70 and I always deleting items to make room for new items. I have spent zero dollars on the game. I have some minor complaints, but overall I am happy with the game and I know it will keep on getting better. "Boohoo I don't have a pokéstop in my house with every single pokémon spawning at my living room, fix it Niantic"
I'm just impressed that he complimented Niantic in the last quote even as he made a satire game of Pokemon Go. Way more reasonable than most of the 14 year olds on the internet. I spend a lot of time in a small town in Canada and, within 10 square miles, you can basically catch/do everything, despite it being cow country, so this poor kid must have just rolled snake eyes. And that statement is "I have too much time on my hands, and I don't want to leave my house/basement bedroom." EDIT: Oops, wrong page. This guy is the one complaining about Pokemon GO mechanics. I wanted the one about getting all these kids off my lawn. @Flauber A legitimate concern is a legitimate concern. I don't see how this kid is feeling entitled. GradeAUnderA made this very point. No need to make yourself sound like a Jackamule. I just wish they get the new tracking system out to everyone already. "GradeAUnderA made a great point"
@AlphaJaguar - Is that a joke about his chin? Plot twist: kid ends up making a career of what he learned and gets a job with Niantic. Haven't played much so are still finding new ones every other time I go for a walk so not complaining about lacking them in a small city. That said, I do hope they change it so people actually have to go away from the cities to find some. Have a small forest nearby that don't have any roads marked on google maps and it's pretty weird that there would be fewer in there than in a concrete jungle..
Also add pokestops n such away from the concrete, Team up with geocaching for locations n such, let people submit fun out of the way places. For a version 1 it's a great game, but still loads of room to grow and make improvements in. @Flauber lol I'm really lucky cause I live in a suburb of Glasgow and there's a pokestop beside my house so Pokemon do, in fact appear in my sitting room. I still do leave the house though cause I have a life to get to. Sick of people meowing about everything yet? I know I would be. That's pretty funny. That's how I feel about streetpass as I really only get them at college. People who don't realize that this is a legitimate concern are selfish idiots who are happy as long as THEY benefit from where they live, and don't care about the situation of the majority of other people in small towns and beyond. Stop beings jerks, there are legitimately a lot of towns without spawn rates, going into the city for gyms and Pokestops makes sense, but not for just catching Pokemon. The whole premise of Pokemon as a concept was to give kids the opportunity to catch bugs in virtual nature because the creator painfully watched as the forests he loved were replaced by industrialization and it all evolved from there. Pokemon GO deviates too far from that. Its target audience now has the ability to travel and explore nature in the real world, yet the spawn rates are kept to high traffic places? That spits in the face of the original anti-overindustrialization concept that Pokemon was born from! @Flauber, I'd like to clarify, I do quite enjoy Go. I've been playing since day 1, I'm currently level 22, and I'm just 10 away from catching 'em all. To accomplish this, I've had a fantastic time exploring my local city and interacting with fellow players. I've found, however, that if I want to play when I'm, say, walking the dog up and down the street, it's unlikely that I'll run into anything awesome, mysterious, or exciting (if I find anything at all). 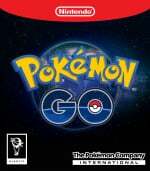 I've long found a core aspect of Pokemon to be the fun in discovery (whether that means discovering a worthless fish evolves into a water dragon, or discovering there's another Pokemon beyond the original 150) and feel that Go could do a better job conveying that excitement by shrouding the game in more mystery. If you know rare Pokemon are more likely to spawn inside the forest near your home, you'll feel incentivized to explore it. In Go's current state, you know outright that you won't find a Charizard or Dragonite there - in fact, you know you'd be lucky to find even a Pidgey, and figure it'd make more sense to drive up the busy road by your house that you've driven over a thousand times before. Kid needs a new hobby, I'm sorry. But cmon. I used to meow about not getting broadband back in the day when I lived far away, but can't always get what you want. I just think that the experience would feel so much more genuine if you had to go out into the wild to catch Pokemon rather than just down to the town centre and huddle around poke stops. In house complex area, especially my place (Surabaya) mostly Doduo everywhere. But when you walk a bit far, some new Pokemons can be founded. He does raise a valid point. I'm on the outskirts of a city with a fair number of pokestops nearby, and I don't often see much other then Rattata, Pidgey and Spearow. Having areas with very few pokemon about just seems like a poorly thought out idea. @Dakt They can't, parody is covered under fair use and therefore not a copyright violation. You can submit candidates for Pokéstops and gyms somewhere right? I mean fair play to the kid for learning code and making this, but surely it'd be more useful and constructive to have submitted a bunch of local places to Niantic as suggestions? @BlatantlyHeroic Well said, thank you for that. I knew as soon as I finished reading there would be people complaining in the comments section because how dare someone be disappointed in or complain about a Nintendo related product. It was kind of expected that rare Pokemon would be near city centers, that have more people, than a little suburb that no one visit. Its annoying, yes, but you adapt - I live in a suburb, but I get rare Pokemon when I go to work. @Ogbert The main problem is the wild Pokémon spawn rate, not the number of Pokéstops. Latest update seems to have rebalanced catch/escape ratios at least. @Assassinated for me after like 100 the ground disappeared interesting. I can understand some peoples frustration though. I'm fortunate enough to have 3 spawns within range of my house and always have at least one encounter at any given time (with a reasonable abundance of Bulbasaur and occasional Gastly and Squirtle), and my block has enough useful spawns. On the other hand, in some suburbs, theres rarely anything of interest and those spawns are much further from each other. Pokestops are another matter entirely. My area has one down the road, and the rest of the suburb has none, and with surrounding suburbs having modest amounts. Meanwhile, suburbs way on the other side of town have like 7 on one neighbourhood block or an occasional park (some are just suburban signs). Kinda wish they'd allow a few more submissions to beef up the sparseness or something, but given that i can drive somewhere, its not difficult for me to stock up once a week. More pokestops would be good for kids though. you have to luv nintendo fans. instead of going postal, they make this, heh. one of my own personal nintendo frustrations is that there is no current-gen monster hunter wii u game other than the remaster of tri. thing is, there is an mmo of monster hunter. it's available in japan, only on pc, and strangely enough, xbox 360.
yesterday, it was announced that the latest version/season - theyv'e had SIXTEEN - is coming to ps4 in november. if you look at the graphics, they look slightly less than what a ps4 would be at full fan on. it's like it was pared down just a wee bit to function on perhaps a mobile/console hybrid, or maybe because it's an x360 game. i am calling it now, this will be westernized and launched with the nx. also: apparently frontier g, the last season, was also available on ps3 and wii u. frontier z is all jsut screaming nx launch title. Hasn't Pokemon always been like this though? You don't expect to be able to complete your Pokedex if you just sit in the same spot. I happen to live in an area where there are a lot of grass and bug Pokemon. There are a lot of Pokemon I can't find where I live. Electric and Water type mostly but also Psychic, Fighting, Fire and Poison types. And yes, I can go for a walk and catch maybe two or three Pokemon. If I go into a crowded carpark near a large shopping centre I'll catch more just sitting there. Sitting in my house I don't get any spawns near me. That's definitely a thing. But that said, what would be the fun if I could catch them all in my own suburb? What would the fun be if I didn't have to go somewhere else? Most of the fun I've had with the game is opening it somewhere new and finding something unexpected. Or hatching an egg and getting a Hitmonchan, Pikachu or Sandshrew. There are plenty of Pokemon to catch. Try going to a park you lazy teenager. Wow! How awesome that a young kid would put so much time and effort into creating such an original parody in order to send a message to Niantic about something he believes in. Way to go! Definitely off to the start of a bright future. We need more kids like you in this world. Wait people still play this game? My friend has been playing his own game in the suburbs called "pokemon stop". Every time he sees someone playing pokemon go, he takes their phone from their hand and smashes it. He then yells, "I caught one!!!" I think the game upsets him for some reason, but I don't understand why? Well, I can't really complain that much, there's a spawn point with a Bulbasaur and Cubone near my place, and going just a few blocks further into the neighbourhood can net me some better stuff, like Nidoran, Bellsprout, Meowth, Gastly or Jigglypuff. But yeah, our suburb has a complete abundance of Pidgeys and Weedles. Not to mention the city centre, oh God. Sure, there is a nice Mon here and there, but 90% of the time you'll be running into a damn Drowzee. While cool and good at first ('oh goodie, I'm gonna have a Hypno!! '), it quickly went out of control, and I ended with 418 Drowzee candies. @Dakt To sate one's own Schadenfreude? Why do something about your problems when you can complain in an overly elaborate way? Maybe he should play a real pokemon game instead. False! it should have less Pidgeys and more Poke Ball dodging! The problem is that Pokemons most likely spawn where there are many people, this is a flawed concept. If I am talking a walk in the woods, it would be nice if they could spawn there. I think it also would be better if you had a bigger chance to catch something rare there, but that is just me. Hehe, this is great. I completely agree with him. Forests and parks should have the most pokemon traffic, not a college bar that smells like a long dead Snorlax. Pretty sure Niantic's intent is to get you travelling out of the suburbs into the cities and parks, but the problem is people in rural areas don't really get that option often. I prefer this as a statement though. That was a pretty difficult game; on my first attempt I only got 129. As far as I'm concerned, that's a terrible score. Fair use allows limited expression. I don't think a Pokemon game that uses title names, characters, and gameplay mechanics would classify as limited expression. I mean you can't just make Nintendo games and throw in a couple of jokes and expect it to fly. Plus fair use is just a huge grey area. You never really have fair use until a court says you have fair use. Much of what Nintendo is blocking right now on youtube appears to be fair use. But until someone takes Nintendo to court, it's off limits. @Therad Which I can understand if that concept seemed to be consistent. I don't expect much to spawn where I live (though I get a few surprises here and there). But I work in a pretty populated and lively college town (Amherst, MA) and travel through another pretty lively city quite frequently (Northampton, MA). Both have Pokestops galore. But the spawning rates for diverse Pokemon is not what you would expect for places that have alot foot traffic. Meanwhile, people are catching Snorlaxs, Dragonites, Arcanines and other ridiculous Pokemon in large numbers in nearby smaller towns (some claim in their homes). So I don't really know what the rhyme or reason is to how or where Pokemon appear. Kind of disappointed with how negative and mean some of the comments tend to get. Don't forget, the kid is only 14 years old, and he came up with a very creative way to lodge a complaint/concern in a way that is much more than the standard "sit behind your keyboard and fire off insults on Twitter" stuff that a lot of other people end up doing. YMMV, and even if you don't agree with him, you should respect the manner and creativity it took for him to do this. I still don’t get why Pokémon Go is a huge success amongst Pokémon fans. Why would I play a dumb-down version of the game where I can only catch 146 Pokémon, can’t IV train, can't breed, gyms are just overpowered things to keep you grinding, and with a extremely silly battle system? Probably I’ll never know. @Laki2 I ask myself the same thing as I wander around aimlessly looking for Pokemon. I've come to realize that I'm just itching for Sun and Moon at this point and just getting my Pokemon fix until then. I could just continue to play X and Y. But I'm kind of over that game. Stop being MENTALLY lazy and put 2+2 together. I said go to a park. He didn't want to move and is complaining about it. And clearly, by the insane mess of crap in the mobile marketplace, it doesn't take that much work to build a "video game." @ECMIM Yeah, epic fail at walking around and has spent the whole game sitting at home and gave up after 30 minutes. @Dakt Oh that? Obvious? Pff, no, not at all. Never would've figured that out. Ah the teenage years; when your insignificant annoyances feel like the end of the world. Go to a park kid. @ShaneBrunswick It seems like people have some vocabulary problems around here accompanied by some severe 'tude. I don't play GO but I've followed the craze and this kid is talking about his suburban environment. I can't vouch for him but why is everyone assuming "suburban" either means his house, his yard, or his development. Shane, I assume you've tried school, some parks, maybe some parking lots, malls, or friend's houses? From what I've read, certain areas are pretty dead in the suburban US even if you travel a bit. It appears to be a valid point so no need to assume people who encounter it are self imposed shuttins. I can't help but facepalm everytime someone is upset they don't have the same luxuries as living in the city. I live right on the edge of the suburbs in my town and the only problem I've had is a shortage of Pokeballs, due to there only being two PokeStops anywhere near me. In addition to the standard exp. fodder, I can quite often find things like Oddish, Bellsprout, Venonat and Nidoran M/F... Eevee are pretty common as well, and every so often I will find something rarer like Bulbasaur, Pikachu, Abra/Kadabra, Growlithe or Rhyorn... I even stumbled across a Lickitung a week or two ago, which I am still pretty happy about. @Dakt Who, me, sarcastic? Nah, not at all. But seriously, wishing someone to have Nintendo rain down on them to sue them is a pretty damnable thing to wish on another. @ekreig He makes Pokémon Go updates for a living.